I participated in a short seminar at church last weekend to go discuss Strengthsfinder 2.0 results. There were about 25 people in the group from a broad cross-section of sexes, races and nationalities. I learned some neat things about myself that I will share. But even more interestingly, I feel like I learned something real and tangible about the value of diversity. Let me start by telling you more about Strengthsfinder. 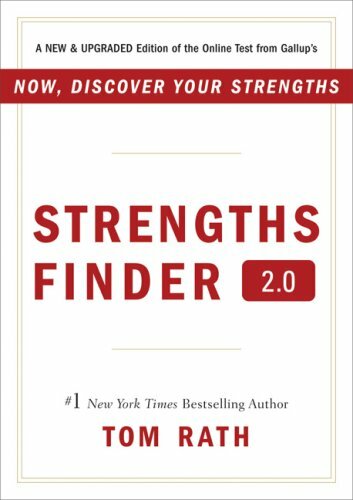 The book, Strengthsfinder 2.0 by Tom Rath was assigned as part of a program that I’m participating in at church. I figured I’d be reading another book cover to cover, but it turns out that this works a little differently. The book (and e-book) come with an access code to take a test online. After you take the test you’ll have access to your results in a pretty lengthy PDF. As part of the results packet you receive your top 5 themes. A theme is not exactly a strength. It is more of a paradigm that you naturally gravitate to. For example, my top theme is Strategic. It speaks to the way that I think. However, it will not be a strength unless I’ve gained experience and gathered information from books and relationships that give me the background information I need to use it successfully. The first theme that appears is your primary theme and they follow in decreasing order from there. Each theme has a brief description (a lengthier version is found in the book) and then moves on to a highly personalized commentary about you based on your answer combinations. The packet finishes up with suggestions on how you can work in your themes and turn them into true strengths. I found the personalized section of the report to be amazing. It eliminated the feeling of being categories by generic traits. Instead, it spoke to who I am and how I feel about things. In addition, the suggestions on ways to develop the strengths were not run of the mill. There were suggestions that are worth following up on. In addition, the test results made it easier to see how those suggestions would help in meaningful ways. My results were as follows: Strategic, Ideation, Input, Relator, and Intellection. It didn’t surprise me that 4 of my 5 fell into the Strategic Thinking quadrant. What did surprise me was to see Relator there instead of Command or Communication. I was actually pleased by that. I feel that it shows how much progress I’ve made internally since my youth. Here is a brief breakdown of what these categories refer to. Strategic – There are many paths or tactics that can be used to achieve something. A strategic person has the ability to review a great number of alternatives very quickly and identify the path that will lead to the greatest success. Ideation – When this person gets on a roll it may be hard to stop them. They are constantly generating ideas and thinking of new ways to do things. This has obvious benefits, but it can be hard to keep them on topic. If they get bored then they will drift into other thoughts easily. Input – This person’s natural desire is to consume information. While most people like information, these guys need it. Many times this person is a voracious reader and if not then they likely use television or relationships to gather their data. This person’s favorite verb might be Google. Relator – This is a person who is keenly aware of personal interactions. They typically have 2 or 3 deep friends and they open themselves up completely in those relationships. Relators generally maintain an informal tiering system of friends that stretches from BFF to acquaintance. Where you fall on this scale could be obvious based on the level of effort that this person puts into your relationship. Intellection – This person has a great capacity for thought. Their brains are never truly quiet. Many times this person will be an introvert. 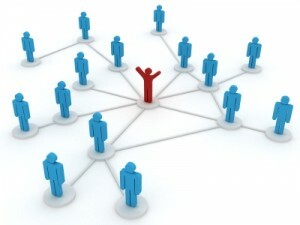 They are especially adept at processing information internally and then sharing it only when necessary. These were my own paraphrased notes, but they make the point. After reviewing the results I realized that I absolutely had to know what my wife’s 5 themes were. Turns out that she’s an Achiever, Strategic, Communication, Individualization, and Competition. Now it makes sense why she accomplishes so much more than I seem to! As you can tell, I’m a big fan of this book. I really like what they’ve put together here. However, I think the most valuable thing that I learned came from the 4 hour seminar at church. I didn’t expect much out of it and the first hour or so was pretty run of the mill. Then we reviewed each theme one by one and had people describe how that theme showed up in their life. There are 34 different themes and very few were unrepresented in our group. Some of the themes are so different than me as to be unrelatable. Themes like Deliberative and WOO (Winning Others Over) were like different languages. But as I listed to everyone talk I could tell how much they believed it was a true fit. Not only that, but I could tell that they enjoyed the heck out of being that way. I remember that someone was Empathy, Harmony, Includer, Positivity, and Communication. While I had almost all of my themes in the Strategic Thinking quadrant they had almost everything in the Relationship Building quadrant. That’s when I started thinking about the true value of diversity. I was sitting there thinking how much I would dislike having that skillset. Then I realized that while it wasn’t a good fit for me, this person was obviously someone that I would get along marvelously well with. I could immediately see what a great friend they would be. Even more than that, they loved being who they were and I wouldn’t be shocked at all if they looked at my themes and though about how boring and unfortunate they were. That’s when the light bulb went on. Most people really like being the way they are. Sure, they could try and be someone else, but it would be uncomfortable and eventually I think they would realize they were unhappy. Not only that, but the world is a huge place and it is full of jobs and careers that are perfect for all types of people. Can you imagine looking down as the CEO and seeing a bunch of people like me in your sales force? While I’m sure we would have optimized our sales process, I wouldn’t be surprised if we didn’t sell anything at all. Those jobs are better suited for people who like to meet people and learn about them and win them over. There are financial and IT jobs that would drive our social butterflies crazy, but they are a perfect fit for our highly analytical and process oriented/deliberative people. It’s really not that much of a revelation when I think about it, if you read the book they will basically say as much, but for some reason it really hit home with me. Even on small teams, you don’t want everybody to be the same. If there is no diversity then everybody will hate the same assignments and try to avoid them. There would be no one to go to when you need help with something that you’re not good at. Diversity is a requirement for a good team. It’s an absolute must. Lastly, it’s important to value the differences in the people around you. Sure, everybody isn’t a perfect fit to be your friend. Like I mentioned earlier, there are some personalities and groups of strengths that may seem perfectly worthless to you. But it’s your loss if you alienate that person. Someday you might run into a situation and realize exactly how perfect that person would be to help. You’ll regret it if you’ve run them off because of your shortsighted view of the world. Posted on June 25, 2011, in Personal Development and tagged business, Friendship, Personal Development, Relationships, self-awareness, Strengths, Strengthsfinder 2.0. Bookmark the permalink. 1 Comment.